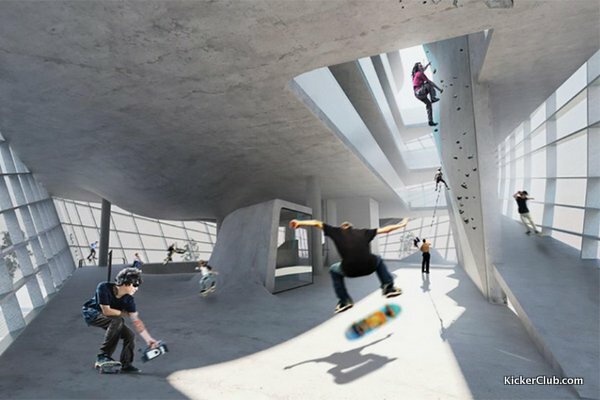 Britain-based Guy Hollaway Architects has unveiled plans for the world’s first multi-storey skatepark which will be located in the proposed “Folkestone Sports Park.” As part of Kent’s ongoing urban regeneration process, the park is said to be the first of its kind with three storeys of concrete terrain consisting ramps, ledges, rails, flatground and bowls, who’s forms are dictated by the building’s floor plates. 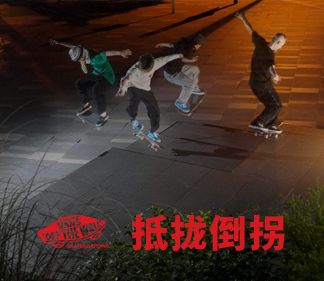 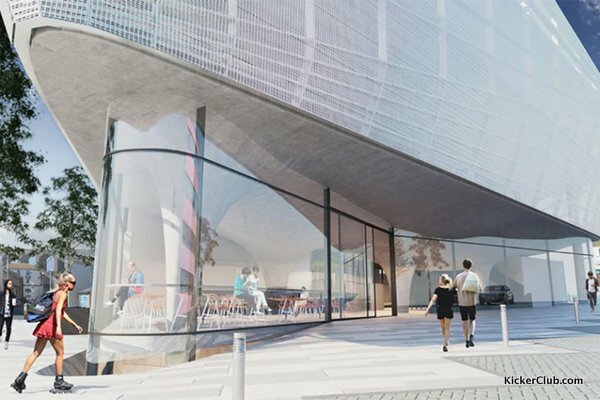 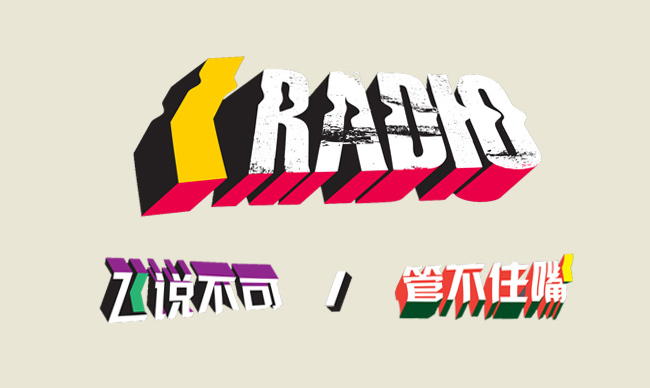 The 1,000 square meter urban sports center will also house a boxing gym in the basement floor, social spaces at ground level, a roof terrace overlooking the nearby neighborhood, not to mention the rock climbing walls that intersect the skatepark. 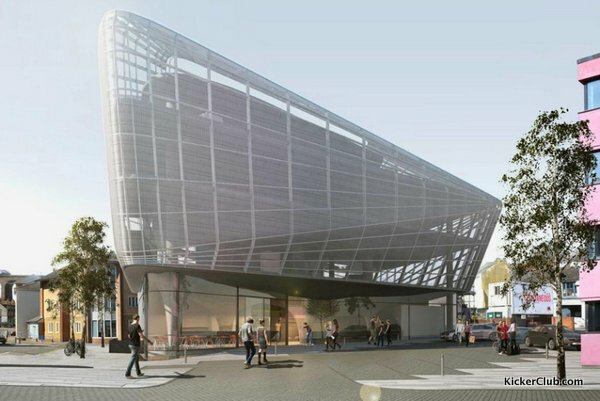 Finally, the structure’s transparent skin will let ample sunlight flood the spaces while also giving passing locals a glimpse of the facilities in use.